Many visitors to the site will know the pleasures of horse breeding. 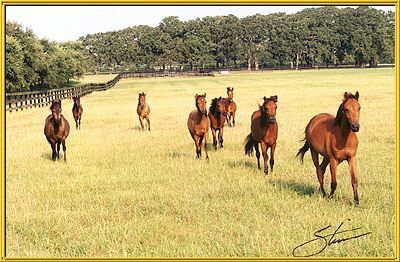 From the careful selection of broodmares and stallions, to the joy at the birth of a new foal, breeding horses has fascinated and given happiness to people for thousands of years. It is the reason we have so many distinctive breeds, fitted for a whole spectrum of purposes. 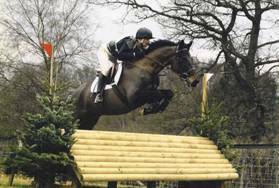 As well as employing careful selective procedures horse breeding increasingly incorporates modern genetic and reproductive technologies, including genetic testing, embryo transfer and artificial insemination. 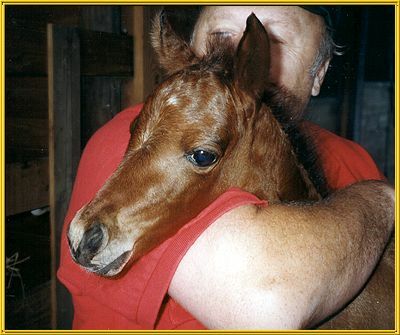 This page is a gateway to various articles on various aspects of horse breeding, the history of horse breeding, reproduction and the care of broodstock and foals. If anyone would like to submit articles for consideration in this section please contact me. 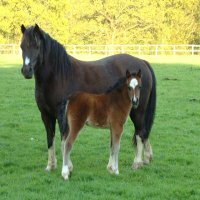 This page deals with horse reproduction in a genetic sense, rather than from the point of view of horse breeding practicalities. There is just enough here about the process of meiosis and fertilisation to understand how genes are inherited during horse reproduction, plus a little on how these genes are then passed on to the cells of the body. Genetic health and fitness in horses is heavily influenced by the way people breed horses and by the way in which breeds of horses have been developed. Horse conformation is sometimes described as a complex or polygenic trait. This means that it is affected by both many genes and the environment. It affects the looks of a horse - the shape and proportions of its body. More importantly though, the movement and physiological functioning is also influenced by conformation - thus affecting the potential for performance and good health. Includes the article "What is Good Conformation?" by Ron Petracek. Feral and wild horses breed naturally with no problems, but the selective breeding of purebred horses obviously requires specialist human intervention. 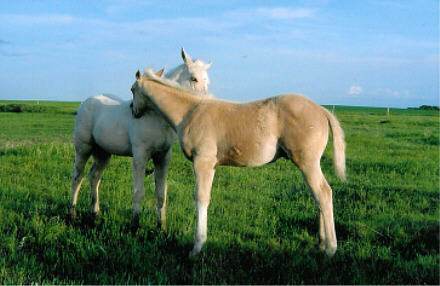 The mating of two such horses has to be carefully planned, in order to produce the favourable characteristics required. Human management of horse breeding also ensures healthier pregnancies and a more successful outcome for foaling. You have waited eleven months for your foal to arrive. Now he is here what can you do to ensure he gets off to the best possible start in life? The red factor test is a DNA test now available for black horses whose to genotype at the extension locus is ambiguous. This is useful information for people wanting to breed black horses. 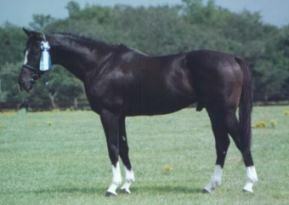 Homozygous and heterozygous tobiano horses are indistinguishable on the basis of phenotype (external appearance) alone. It is difficult to predict whether tobianos are true-breeding, even if they has two tobiano parents. If, on a cross to a solid colored horse, a solid foal is produced heterozygosity can be inferred. However the presence of only tobiano foals among a tobiano horses offspring doesn’t prove that the horse is true-breeding tobiano, especially if only a few foals have been produced. No direct DNA test for the tobiano gene is available yet, but “tobiano zygosity analysis” can be used to identify tobiano horses likely to be homozygous for the tobiano gene. Testing tobiano horses involves the use of genetic linkage analysis. 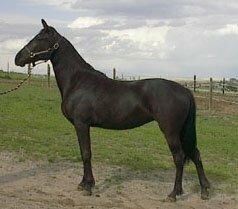 HYPP is a muscular disease that affects both horses and humans. It is caused by a mutation that disrupts sodium ion channels, the gateway in the membrane of muscle cells. The channel's normal opening and closing is disrupted so that uncontrolled sodium influxes occur. These influxes alter the voltage current of muscle cells, causing uncontrollable muscle contractions. This causes potassium to leak from the inside of muscle cells into the bloodstream, thus, raising the blood potassium concentration. Uncontrolled muscle twitching, stiffness and profound muscle weakness results: affected horses can experience unpredictable attacks of paralysis which, in severe cases, can lead to collapse and sudden death. Homozygous overo horses (OoOo) are born are all-white with blue eyes. Sadly they soon die of complications from intestinal tract abnormalities. Both melanocytes (pigment cells) and ganglia (nerve cells) are migratory cells that originate from the same area of the developing foetus known as the neural crest. The all-white foals lack both pigmentation and nerve cells in the intestinal tract (aganglionosis). When two heterozygote overo horses are bred together an average of 25% of foals will be lethal white overo (LWO). Put another way there’s a one in four chance of a lethal white overo foal. 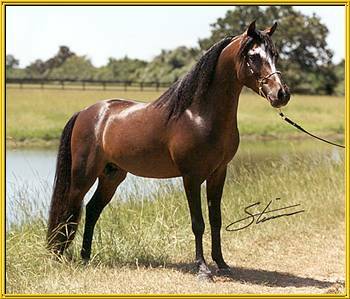 Surviving offspring will be solid colored or heterozygous overo horses. Anterior segment dysgenesis is a genetic eye defect of the horse. Affected horses may have a variety of abnormalities of the eyes, including lesions and cysts, with defects in the iris, cornea, lens, and eyelids (Ramsey et al, 1999, Ewart et al, 2000). They do not respond normally to light, but affected horses don’t usually seem to have significantly impaired vision. Vets had noticed that anterior segment dysgenesis is more common in horses with the silver dapple gene than it is in other horses. Breeding bay horses is complicated by possible heterozygosity at two loci. The genotype is not always easy possible to know from the phenotype alone, you may have to look at pedigrees and offspring and/or get a DNA test done. 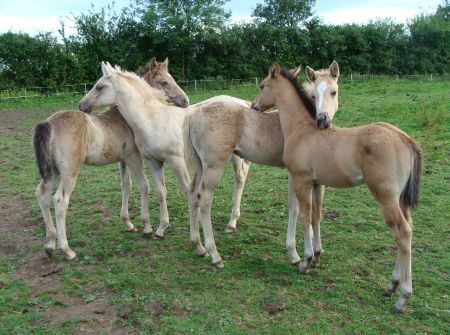 Even then there may be a range of possible foal colours for a cross between any given pair of horses. 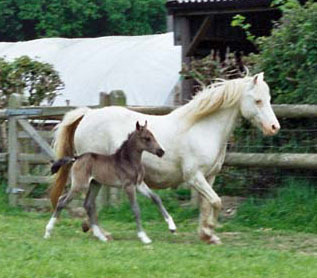 In cases where a "brown" colouration is due to a dilution of black then crossing brown horses together would result in black, brown and chestnut foals, and other dilute types depending on whether the dilution gene(s) is/are dominant or recessive, and whether red pigment is affected as well as black (perhaps to make chestnut into sorrel). Where brown horse have the brown agouti allele then breeding brown horses together would also result in brown, black or chestnut foals, but not bay ones. 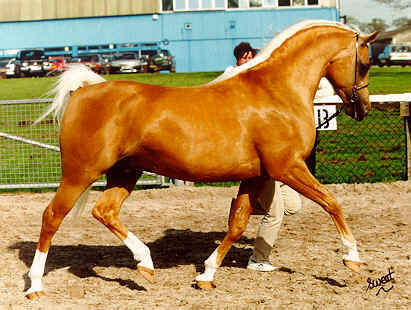 Since palomino horses are heterozygous for the cream dilution gene it is not possible for them to be true breeding. It is possible to get palominos every time by crossing chestnut and cremello horses. Palominos crossed together, or palominos crossed to chestnuts give palomino foals half of the time, on average. 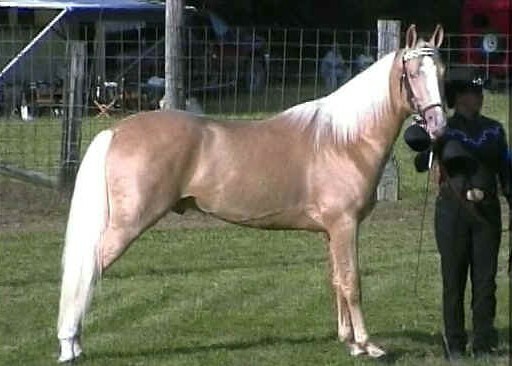 I was asked what color foals to expect upon breeding a gold champagne stallion to non champagne mares. I thought maybe others would want to know the answer to this question and have constructed the chart below to help. It does, of course, also apply if you're breeding a champagne mare to a non champagne stallion.